Applications for Landlord Registration will start being accepted July 1st, 2018 for the initial 2019 cycle. Those properties identified as possible rentals will be receiving letters in the mail and are expected to respond to these letters. Properties that are not registered by the end of February 2019 will be subject to penalty fees. On June 30, 2015 the Mahoning County Court of Common Pleas (Hiznay v. Boardman Township, Case No. 2014 CV 02949) upheld Boardman Township’s constitutional and legal exercise of authority to implement landlord registration and rental unit maintenance standards, as amended by Home Rule Resolution 18-03. The Seventh District Court of Appeals affirmed this decision on March 29, 2017 (Case No. MA 0122) and the Ohio Supreme Court declined to accept jurisdiction over the case (Case No. 2017-0555) on December 6, 2017. What does landlord registration do for landlords? Boardman Township is proud of our community and wants to protect the investments of landlords who choose to own and rent property in Boardman. By insisting on minimum standards and accountability by all landlords, rent levels will be maintained or improved. Landlords have a place to file complaints to protect their investment and the safety of their tenants and others. What does landlord registration do for renters? Everyone who lives in Boardman has the right to expect safe, clean living conditions. The economy has changed and many Boardman residents are choosing not to take on home ownership or a mortgage. 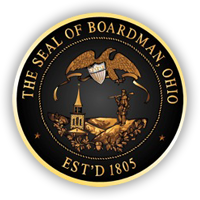 For those who choose to rent, they can rest assured that Boardman, as a home rule township, has the ability to provide standards for rentals. There is also support and a source for renters to file complaints. What does landlord registration do for homeowners? One of the most surprising trends in recent years is the amount of rentals in the single-family home neighborhoods. This trend is seen in all neighborhoods in Boardman. This is due to the struggle of sellers to find buyers following the foreclosure crisis and attempts to find new forms of income. A neighborhood’s character and identity should not be detracted by changes in ownership type. While there are differences between owner-occupants and renters, landlord registration will help protect the integrity of our neighborhoods. What about the Housing Choice Voucher Program (aka Section 8)? This is a federal program to assist low income people in finding better housing. Landlords apply for this program on a unit by unit basis, and depending on if requirements are met, units may fluctuate between being part of this program or ineligible. Boardman Township is not involved in this program in any way. However, all rental units would be required to meet Boardman’s minimum standards, regardless of participation in this program. My family member lives in the property and I do not collect rent. Please provide a Notarized letter to Boardman Township stating that a family member resides in the property and it is not a rent-generating income property. My property is not a rental — it’s a Land Contract. This is not a problem. Please provide Boardman Township with a copy of the recorded Land Contract and we will have the property removed from our rental registration list. If you have a Land Contract that is not recorded, you can have it recorded at the Mahoning County Recorder’s Office located in the Mahoning County Courthouse, 120 Market St #1C in downtown Youngstown (phone: 330-740-2345). 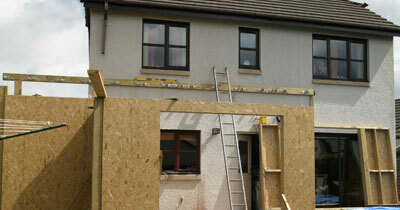 If it is not recorded, the property will be treated as a rental and will require landlord registration. My property was incorrectly identified as a rental property. This is possible due to a discrepancy on the Mahoning County Auditor’s website. If your owner address and property address do not match, your property could have been flagged as a potential rental property. If you are not receiving the Owner Occupancy credit, your property may have also been flagged. You can contact the Mahoning County Auditor in order to correct or update this information or get an application to receive the owner occupancy credit. The Mahoning County Auditor’s Office is located in the Mahoning County Courthouse, 120 Market St. in downtown Youngstown (phone: 330-740-2010).